For more than 10 years the AVO brand (led by Avo Uvezian himself until his death in 2017) celebrated each year with a limited edition blend. 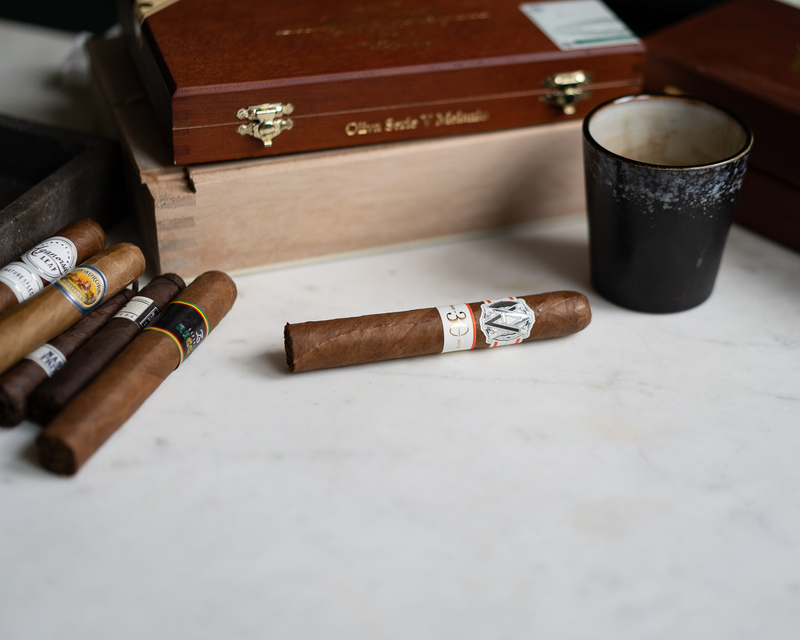 In 2018, the Davidoff-owned brand decided to re-release two previous limited edition blends: the AVO 22 (reviewed here), and the AVO LE05. I found the AVO 22 to be a fairly uneventful smoke, complicated even more by its rather lengthy smoking time. The AVO LE05 is a bit different in that it is widely considered one of the brand’s finest limited edition blends. Obviously, the plan today is to put that assessment to the test. So let’s get on with it. The AVO LE05 sports a beautiful Ecuadorian Sun Grown wrapper. It’s got a nice, leathery texture, and one or two very noticeable veins which hopefully won’t impede the smoking experience. The cigar itself seems to be packed firmly and consistently the length of the cigar. Testing the draw I find it to be just right, about a 7/10 in terms of restrictiveness. The pre light draw releases typical AVO notes of hay, wood, and touches of floral. The AVO LE05 opens with cool, smooth, mild to medium bodied smoke. Overall, the profile leans toward the bitter end of the spectrum, with a heavy, dominant leather and bitter notes of espresso and wood. It’s a bit overly aggressive on the bitter side, but thankfully there’s some cream and floral finish that balances it out. After a few puffs, some meats and baking spices enter the mix, adding a slightly savory twist and some nice complexity. Still, the leather and bitter espresso at times are a overbearing, and I find myself hoping for a bit more sweetness to balance it out. Smoke production at this point is above average, and overall it’s a fairly complex and satisfying smoke. At an inch in, the ash on the AVO LE05 is holding strong with a mostly straight burn. A few puffs into the first inch, a strong spice develops on the tip of the tongue, which keeps nice development in the story the cigar tells. Not much changes until the second third arrives. 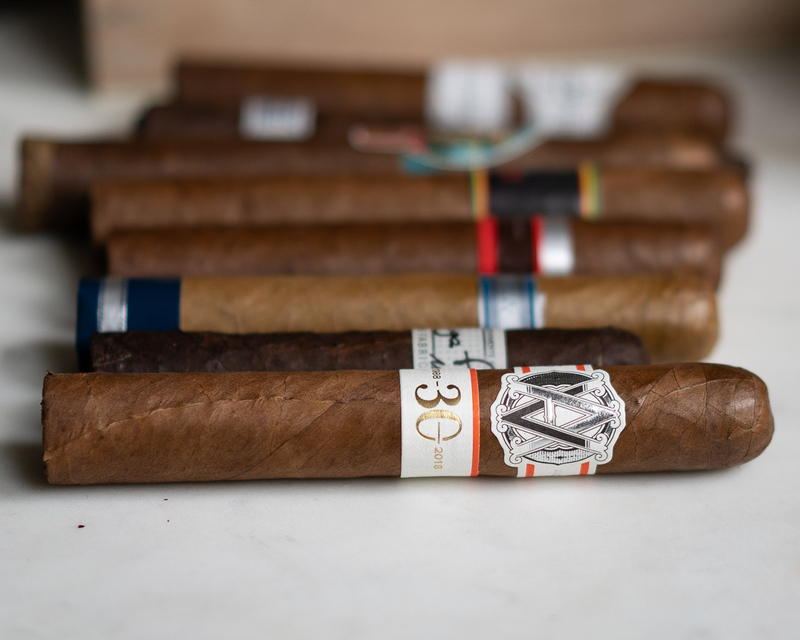 At this point, the strength of the cigar settles at medium, and sweetness edges in to the profile along with some oak, fully balancing out the more bitter flavors. And dammit, it’s beautiful. Flavor, check. Complexity, check. Balance and harmony? Check. Construction as well is excellent. The burn to this point has had no problems and smoke production is perfect. The AVO LE05 really is a wonderful cigar and its performance justifies the praise it receives. After a little bit of trouble with imbalanced bitterness at the beginning, the cigar opens up to become very complex and harmonious. This is an easy buy, but don’t wait too long. Once this cigar is gone, it’s gone for good (at least until the next re-release! ).